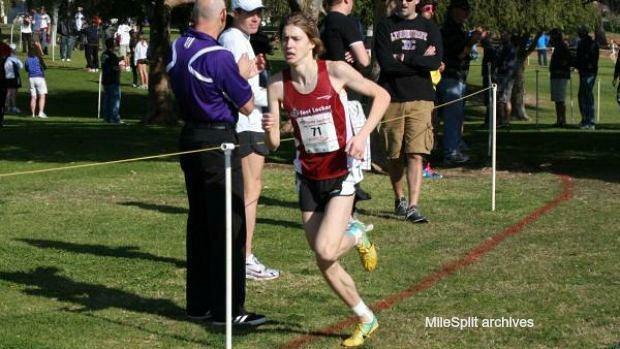 With Foot Locker Midwest Regional kicking off the national series tomorrow, join Carson Vittorio as he takes you through runner who has qualified for Foot Locker nationals through the FL Midwest Regional and he also gives some interesting stats behind Illinois runners at the national meet. Join our very own Tony Jones up in Wisconsin this Saturday as it looks to be a great time. Here is the history of Illinois talent that qualified for the Foot Locker National meet through the Foot Locker Midwest Regional. Besides a few years, Illinois represents well at the national meet with a lot of all-americans and a lot of qualifiers. Based off last year's returners it looks good for Mathias Powell of Mahomet-Seymour who is the 4th best returner for boys, Tommy Brady of Maine South who is the 8th best returner for boys, and Katelynne Hart of Glenbard West who is the top returning girl. If Hart does qualify she will join Kaylee Flanagan and Maryjeanne Gilbert as the only two women to qualify for Foot Locker Nationals two times in their running career from Illinois. There has been four Foot Locker national champions from the state of Illinois and they were Dylan Jacobs (Sandburg) in 2017, Lukas Verzbicas (Sandburg) in 2009 and 2010, Matt Withrow (Andrew) in 2003, and Jorge Torres (Wheeling) in 1998. There has never been a girl's Foot Locker National Champion from the state of Illinois, but that could change this year as two-time Foot Locker Champion, Californian Claudia Lane, hasn't looked amazing this year. Hart took 2nd place at Foot Locker Nationals last year.